From the field to fabric, from row-crop to runway, cotton plays a pivotal role in dozens of industries. Scientists in the Mississippi Agriculture and Forestry Experiment from agronomists to geneticists to plant pathologists to economists to fashion design and merchandising experts conduct vital research and provide students the baseline they need no matter which way they choose to contribute to the massive footprint cotton has in the global marketplace. On the row-crop side of the equation, Mississippi State University is considered a leading research institution focused on a variety of topics centered on the plant itself. On the textile front, a popular online resource for students seeking information on fashion careers and academic programs ranked Mississippi State among the nation’s Top 50 fashion design schools in 2016. Here at home, cotton is best known as a core crop in the state of Mississippi. The Magnolia State is ranked third nationally in cotton production. Mississippi cotton acreage varies with markets and prices of other commodities, but has surged in recent years. 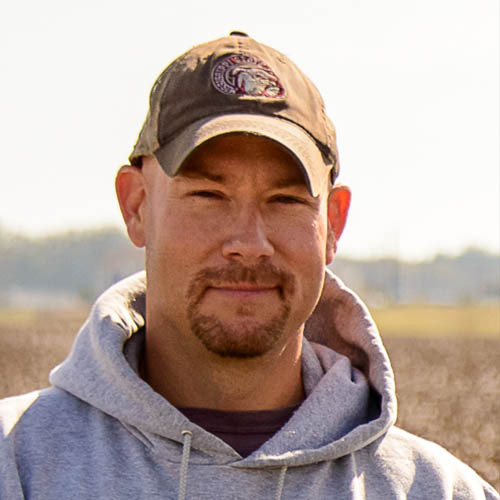 Dr. Darrin Dodds is an associate extension and research professor in the Mississippi Agricultural and Forestry Experiment Station. He is one of several MAFES researchers focused on finding answers for cotton producers. Dodds’ research encompasses several hundred acres across the state. His team’s research translates to savings for Mississippi producers. As the designated state cotton specialist, Dodds leads the MAFES Official Variety Trials in cotton and manages more than 30 trials between MAFES Official Variety Trial sites and on-farm variety trial locations. Dodds is an exemplary research scientist, honored with the Dr. J. Tom Cothren Outstanding Young Cotton Physiologist Award at the 2016 Beltwide Cotton Conference. Recently Dodds partnered with Dr. Angus Catchot, extension professor in the biochemistry, molecular biology, entomology and plant pathology, on a project evaluating nitrogen rates in cotton. The team tested variable application rates of nitrogen in the context of yield and tarnished plant bug control, comparing 40, 80, 120, and 160 pounds of nitrogen per acre. Dodds said less nitrogen didn’t negatively impact yield, but it did reduce populations of tarnished plant bugs. Dodds also directs five graduate students whose research covers the gamut of cotton production—from seed to harvest. “We have projects evaluating seed treatments for plant growth development and yield with numerous treatments, nematode populations, and soil textures,” Dodds said. Master’s student, Bradley Wilson, is studying seed treatments in cotton. Wilson is evaluating the efficacy and economic viability of different seed treatments. He is specifically investigating the performance of seed treatments that provide reniform nematode control. He is interested in seeing how these treatments perform when exposed to high populations of the pest compared to other control practices. Wilson is also studying irrigation and fertilizer applications to see if producers can overcome potential yield damage from nematodes through more aggressive watering or fertilizing. Lucas X. Franca, a doctoral candidate and recipient of the Will D. Carpenter Distinguished Field Scientist Graduate Assistantship funded by Monsanto, is studying weed control in cotton. He is analyzing DNA from glyphosate-resistant Palmer amaranth populations throughout the Midsouth and Southeast. He hopes to help determine whether these populations derived independently or came from a certain problem area. He is also evaluating spray droplet size in herbicide applications to control Palmer amaranth in order to determine optimum herbicide application management strategies. Cotton agronomists study all aspects of cotton production and fashion design and merchandising students study cotton as a textile. Pictured left to right: Jane Spivey Mortimer, Michael Plumblee, Dr. Charles Freeman, Lucas X. Franca, Savana Davis, Gabby Martinez, Dr. Darrin Dodds, Chase Samples, De’Marquis Weaver, Bradley Wilson, and Octavia Lewis. Doctoral student, Chase Samples, is researching the effectiveness of deposition aids in cotton. The products are designed to help insecticides or herbicides penetrate into the crop canopy. Samples is also investigating the effect of application volume and spray droplet size on thrips control. Michael Plumblee, another doctoral candidate, is working with Dodds and Dr. Jason Krutz, associate extension and research professor at the Delta Research and Extension Center. Plumblee is studying irrigation in cotton. He is evaluating intervals in between irrigation applications using soil moisture sensors to try to determine the optimal threshold for triggering irrigation. He is also researching optimal irrigation termination strategies. On a separate project, he is studying how cotton damage that occurs at different times during the growing season can impact yield. An insurance company partners on that project in an effort to build a model that will better assess damage to cotton crops. Savana Davis, who started working with Dodds as an undergraduate research scholar, is now dually-enrolled as an undergraduate and graduate student in agronomy. Davis is evaluating potassium application across different varieties of cotton under irrigated and dryland conditions. She is trying to figure out how these varieties utilize potassium differently and how that ultimately impacts yield. Davis is also researching cover crops and irrigation to determine if cover crops help water penetrate the soil profile more readily. 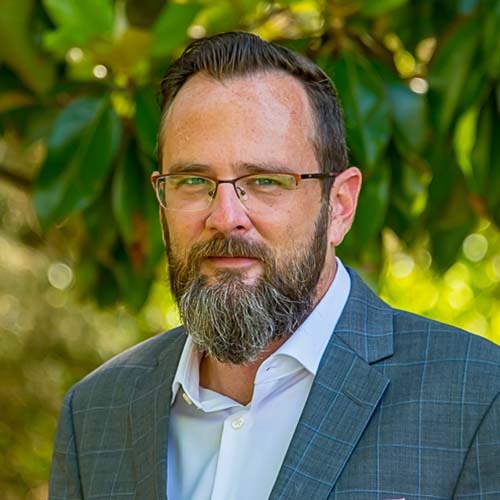 In addition to his research, extension, and academic responsibilities, Dodds is co-chair of the graduate student presentation contest at the Southern Weed Science Society, chairperson of the poster/paper presentation contest for the Weed Science Society of America, and associate editor for the Journal of Cotton Science. Mike Phillips, plant and soil sciences department head, said Dodds’ expertise has become widely acknowledged through higher education and the cotton industry. Understanding the fabric as a seed that starts in the ground is a goal of students and researchers in the School of Human Sciences’ Fashion Design and Merchandising program. Their hope is to ensure Mississippi continues to have a future in cotton. Faculty members in the school have spent several years building a relationship with Cotton Incorporated to offer students additional opportunities in the field of America’s favorite textile. Many students in Fashion Design and Merchandising come from areas of the state where cotton is grown or even come from families who grow cotton, Freeman added, so they know the importance of the crop. However, there can be a detachment when it comes to fashion. Much of the research done on cotton is funded through Cotton Incorporated. Additionally, Cotton Incorporated has provided other resources of which the Fashion Design and Merchandising major takes full advantage. Cotton University, a social media site launched for students in the textile industries, has become an integral networking and classroom tool. The website connects students to professionals within different parts of the fashion industry and provides informational videos that students can watch on their own, or that teachers can use in their classes. Freeman added that is it great validation for what the professors are teaching and the textbook says. Being in academia, Freeman said he knows he is a bit disconnected from the day-to-day life of the industry, so Cotton University helps keep him up-to-date on changes in technology and new brands or labels. 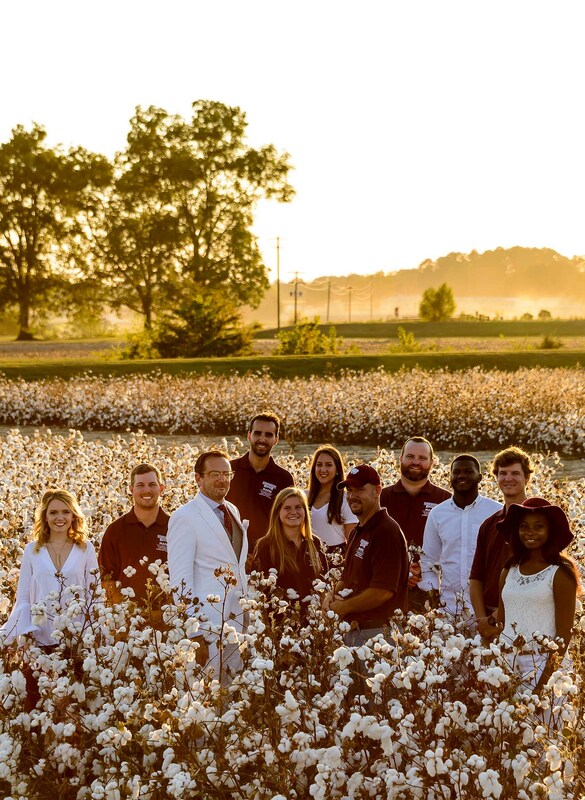 Inspired by the Cotton University online model, the School of Human Sciences hosted the Cotton Summit at Mississippi State in 2014 and 2015. The Cotton Summit sought to share similar resources as Cotton University, but delivered as a live event. Freeman said the goal of the seminar series was to give students a broad picture of what the cotton industry is, bringing in fabric printers, apparel manufacturers, retailers, yarn manufacturers, and other cotton industry professionals. 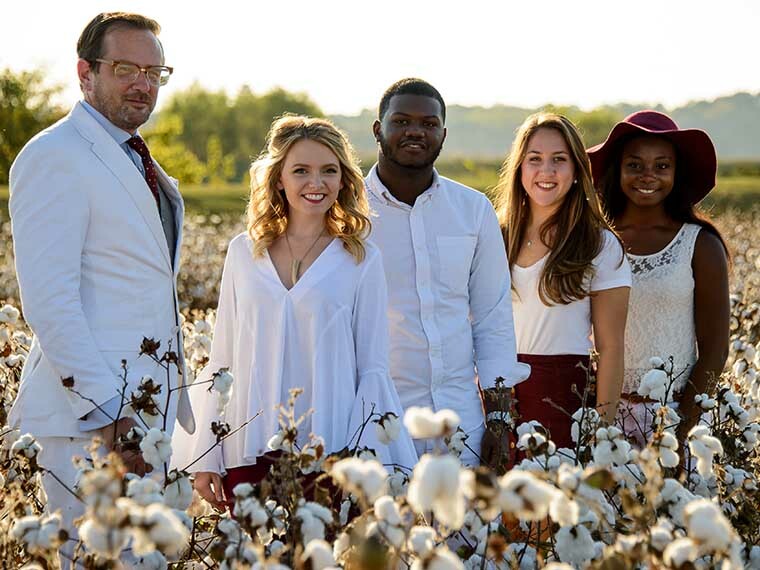 The School of Human Sciences also launched the Center for Retail and Cotton Product Development to establish and build connections between the apparel and retail industry and Mississippi State University. From the seminar series and the Center for Retail and Cotton Product Development, Freeman said the School of Human Sciences has built a network of people who work with cotton on a daily basis. Since being at Mississippi State, Freeman said he has gotten to know many cotton producers throughout the area. 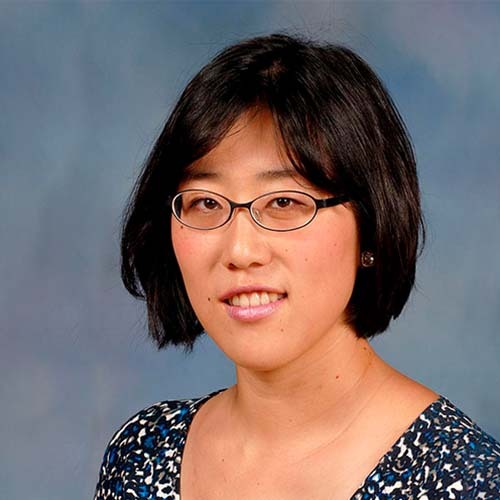 Local cotton farmers can take advantage of research within the Mississippi Agricultural and Forestry Experiment Station, including the work done by Juyoung Lee, assistant professor in the School of Human Sciences. Lee is conducting research to identify the factors that affect Mississippi’s cotton industry’s global competitiveness. Her background is in competitiveness of apparels and textiles in the United States and Japan. She is now applying her knowledge to what she believes is the backbone of the fashion industry. So far, Lee’s research has shown that cotton’s competitiveness is highly dependent on price—and price can often be tied to other crops. For example, if the price of corn goes up, farmers may choose to move their production into other crops such as corn, which changes Mississippi’s competitiveness in cotton. Mississippi competes against other states, like Texas, as well as other countries like China, India and Australia. While the cotton being produced in other states is very similar to Mississippi cotton, the cotton being grown overseas is of lesser quality than cotton grown locally due to rigorous standards and quality controls, Lee explained. Being able to see fashion go from the field to the runway is an element of Fashion Design and Merchandising that Mississippi State students often take for granted. Freeman said that it isn’t uncommon to be in New York City and have the vice president of a fashion brand asking the students how cotton is made. Passion At Work: I am passionate about creating new product/market opportunities for agricultural products in fashion and textiles, which helps our farmers, our communities, our state, and our country—a chain of people we cannot neglect. Passion At Work: My passion is to increase competitiveness of the global textile and apparel industries. Passion At Work: My passion is to provide the next generation with opportunities to study and learn while maximizing productivity and profitability of Mississippi cotton growers.